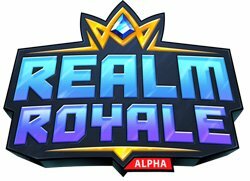 Welcome to our Realm Royale Hunter Class Ability List and Passive Ability for Nintendo Switch and PC. 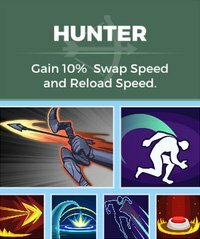 You can view the Best Weapon for Hunter in Realm Royale and details about how their abilities and Legendary Weapon. The Realm Royale Hunter Class has many useful abilities such as the ability to go invisible and lay proximity mines for unsuspecting targets. This Class tier list will apply across all platforms this game is available on PC and Nintendo Switch. Longbow deals less damage if you don’t fully draw it, down to 200 damage if you tap the button. #1 Dodge Roll Quickly roll in the direction you are moving. #2 Blast Shot An explosive projectile that damages the enemy. #3 Flare Fire a flare that reveals enemies in a large area. #4 Proximity Mine A mine that explodes when enemies are near. has falloff damage, dealing less damage at the edges of the explosion. #5 Withdraw Leap backwards and enter stealth. All ranks – Quickly roll in the direction you are moving. All Ranks – Launch an explosive projectile that damages the enemy. All Ranks – Leap backwards and enter stealth.